This darling chrysocolla teardrop pendant is a deep velvety green with a hint of turquoise on the side and silver bubble details at its base. 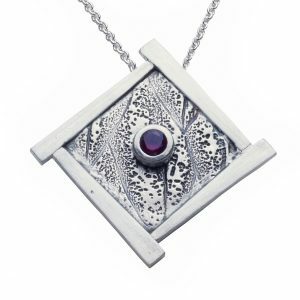 Handcrafted setting of sterling and fine silver. 3/8″ wide by 1″ long. Sterling silver chain in your choice of length is included. Shown layered with our Conch Shell Pendant.